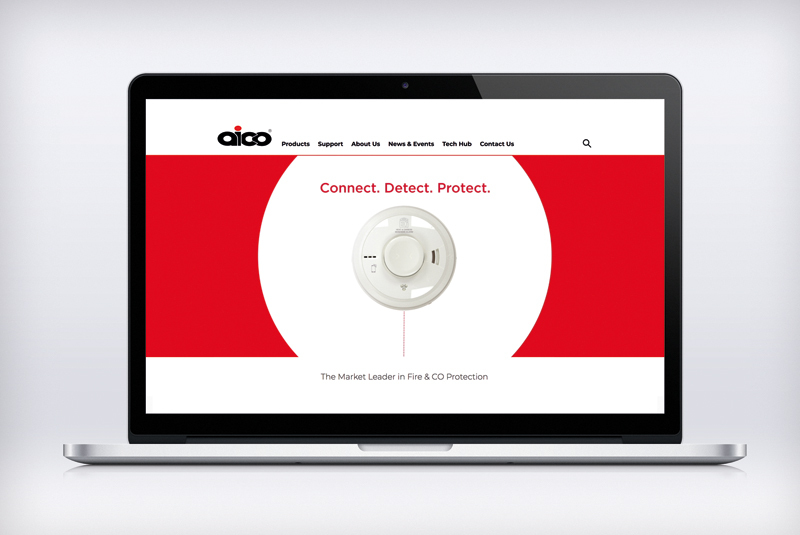 Aico has announced it has relaunched its website – www.aico.co.uk – which will now feature an updated look as well as new features. The website has retained the information that is popular with its customers, including detailed product and alarm technology information along with a selection of support tools and information. The new look Aico website, however, will now come with a clean, modern look and improved navigation. A new Alarm Selector for producing a pre-written Aico alarm specification will feature in the products section. This latest version encompasses both Fire and CO Alarms in the same specification for the first time with each step providing the key decisions in the specification process to choose from, with information available for clarification. Also new to the Aico website, is an ‘Aico in the Community page’ which covers some of the many activities and charitable donations made by Aico and its staff under its Corporate Social Responsibility (CSR). The revised Aico website has a greater focus on multimedia content, including a series of short videos designed to provide customers with a range of educational and practical advice. The videos address subjects such as standards, regulations, best practice, the latest Aico alarm technology and step by step guides to the most frequently asked questions, including how to test an alarm and how to change a battery. Features that have been retained include interactive ‘Where to Buy’ and ‘Find an Expert Installer’ which enable customers to search by postcode, town or county.